When it comes to automotive research, the buck doesn’t stop at finding the right vehicle. 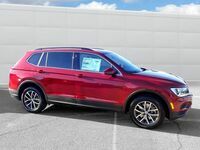 You have to compare not only the trim levels within the model lineup, but also consider whether or not it’s worthwhile to choose a previous model year that may be a little less expensive. 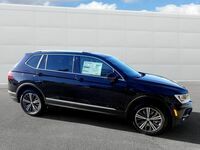 If you’re comparing the 2018 Volkswagen Tiguan vs 2017 Volkswagen Tiguan, you’re clearly in the latter camp. So why might you choose one over the other? 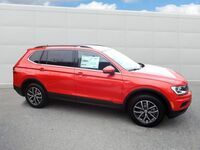 Well, one thing to note is that the 2017 Volkswagen Tiguan was carried forth into the 2018 model year as the Tiguan Limited. This means you can still purchase the vehicle as a new, never driven model. It’s unlikely this will be the case heading into 2019, however. 73.5 or 65.7 cu. ft. Max. Cargo Volume 56.1 cu. ft.
101.1 cu. ft. or 123.9 cu. ft. Passenger Volume 95.4 cu. ft. The key difference between these two models is obviously the size. 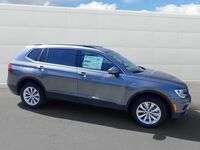 The 2018 Volkswagen Tiguan is a longer wheelbase version of the model, which is better suited to the lifestyle of most American families. You can see in the comparison chart that the newest model year has different figures when it comes to seating and interior space. 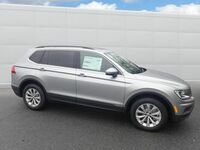 While the 2017 Volkswagen Tiguan was exclusively offered as a five-passenger vehicle, the 2018 VW Tiguan is available in five- or seven-seat configurations. This is why you might notice that there are different options when it comes to cargo volume and passenger volume. 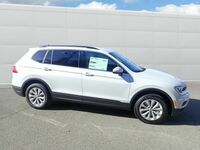 The seven-seat Tiguan would have a higher passenger volume simply because you’re using up the extra space for seating. Maximum cargo space is based on having the seats folded flat, but obviously they take up some space even when folded, which is why you see less cargo space in seven-seat models. Other key differences are going to center on features. 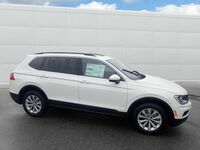 Many things that are options on the 2017 VW Tiguan or 2018 VW Tiguan Limited are standard for the 2018 Volkswagen Tiguan. 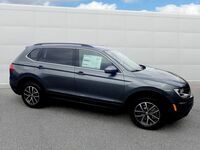 Roof rails, automatic headlights and Car-Net App-Connect with Android Auto, Apple CarPlay and MirrorLink are all features that are options for the 2017 model year, but standard for the long-wheelbase 2018 VW Tiguan. Still not decided? 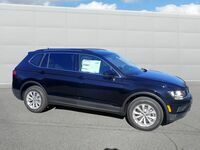 There aren’t many Tiguan Limited models left in stock to compare the new 2018 VW Tiguan to, so stop by Dirito Brothers Volkswagen before they’re gone.